Circuit protection devices are used to protect electronic components from unwanted transients such as current and voltage surges, electrostatic discharge (ESD), lightning, spikes and other signals that can imperil the operation or damage the component. They use two basic technologies: attenuation and diversion. Circuit protection devices that attenuate transients prevent propagation into the circuit. By contrast, IC circuit protection devices that divert transients limit the residual voltage. Transient attenuation involves placing isolators in series with the integrated circuit. The filter or isolating transformer attenuates the high-frequency transients while allowing the signal or low-frequency flow to continue. Typically, circuit protection devices that divert transients use a crowbar device with a switching action, or a voltage-clamping device with varying impedance. Filters are relatively simple isolators that are installed in series. Isolation transformers usually have an electrostatic shield between their primary and secondary windings. 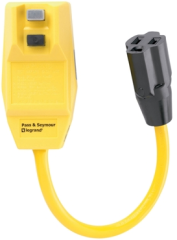 Spark gaps and gas tubes are crowbar-style devices that serve as conductors during overvoltage conditions. Selenium transient suppressors use selenium rectifiers to permit reverse-breakdown currents at high energy levels. They have some self-healing characteristics, but lack the clamping ability of other circuit protection devices. Silicon carbide varistors are designed for high-power, high-voltage surge arrester application. However, their low impedance values require a series gap to block the normal voltage. Silicon avalanche diodes are often used in low-voltage applications because of their superior clamping characteristics. Metal oxide varistors (MOV) are non-linear circuit protection devices that maintain a relatively small voltage change across their terminals during large-surge current flow-through. Surge fuses are also commonly available. Clamping voltage is the maximum voltage that circuit protection devices allow to pass before suppressing a power surge. Working voltage is the typical voltage or range of voltage during discharge. Peak standby current is the maximum input current drawn by a power supply when no load is active. Power consumed at normal line voltage is also an important consideration when selecting circuit protection devices. Although some electronic devices have low standby voltage at the nominal design voltage, a small line-voltage increase may cause a significant increase in standby power. ANSI C37.16 - Low-voltage power circuit breakers and ac power circuit protectors -- preferred ratings, related requirements, and application recommendations. IEEE C62.41 - Surge voltages in low-voltage ac-power circuits. 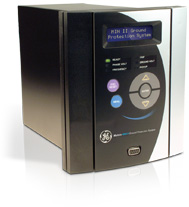 UL 1449 - Surge protective devices.